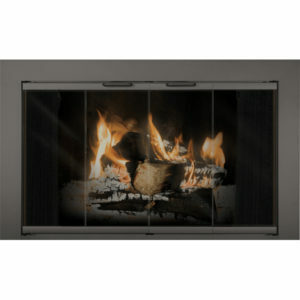 The Normandy Contemporary custom fireplace door is an elegant showpiece for your home! 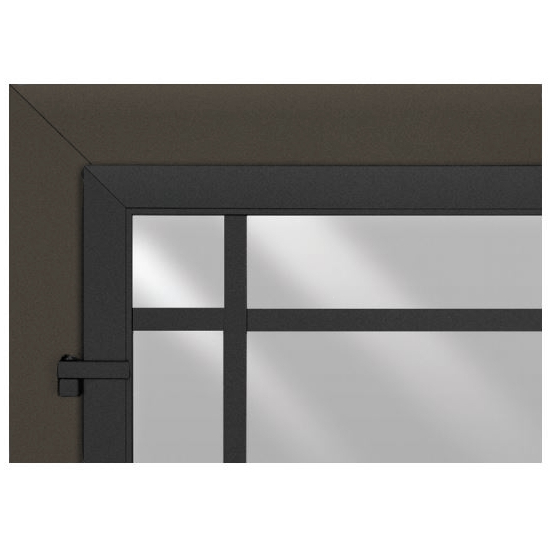 Crafted from sturdy aluminum, this enclosure has many options that can be tailored to your specific needs. 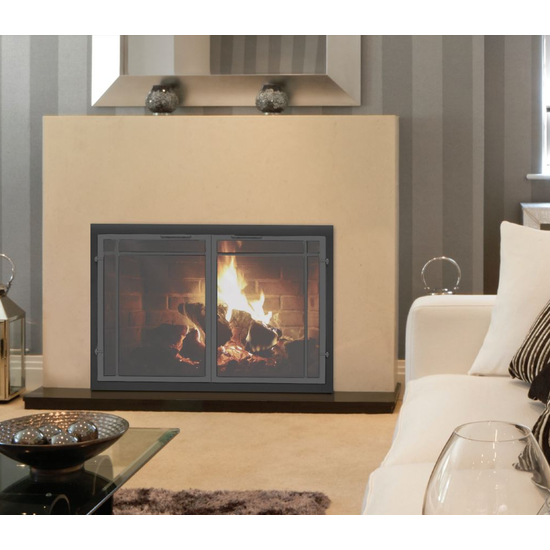 Submit your firebox opening dimensions and choose an overlap or inside fit frame. 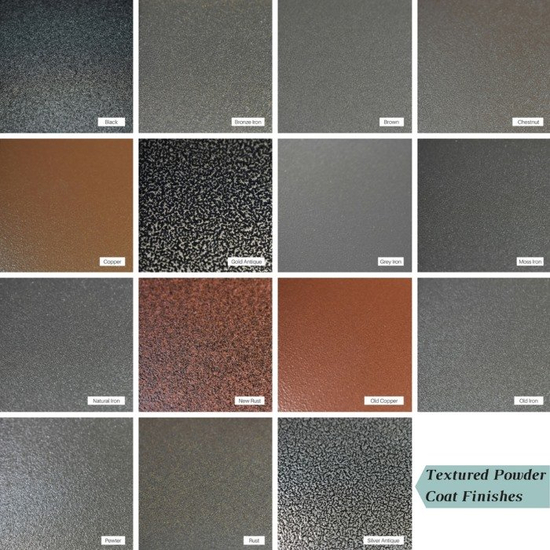 Various finish colors combinations can be applied to the door and main frame. 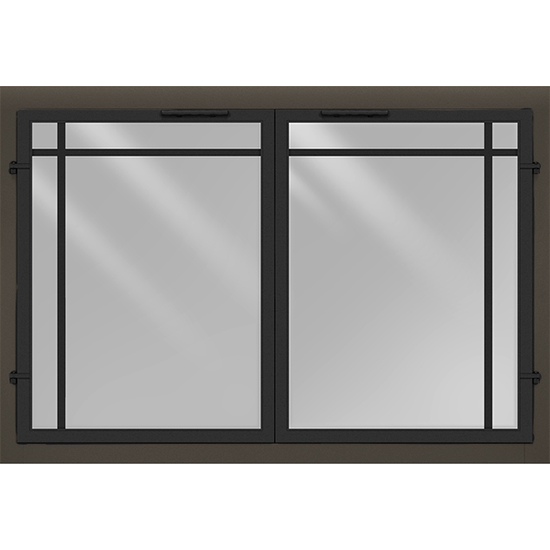 Rest easy knowing that FREE sliding black mesh curtains are included! 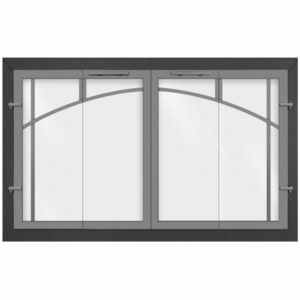 You can choose to upgrade your spark protection to cabinet mesh doors if you prefer. 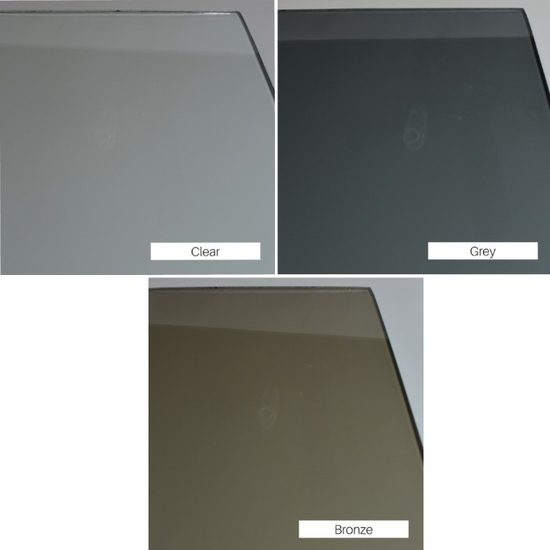 Tempered safety glass comes with a lifetime warranty and is available in clear, bronze, or grey tint. 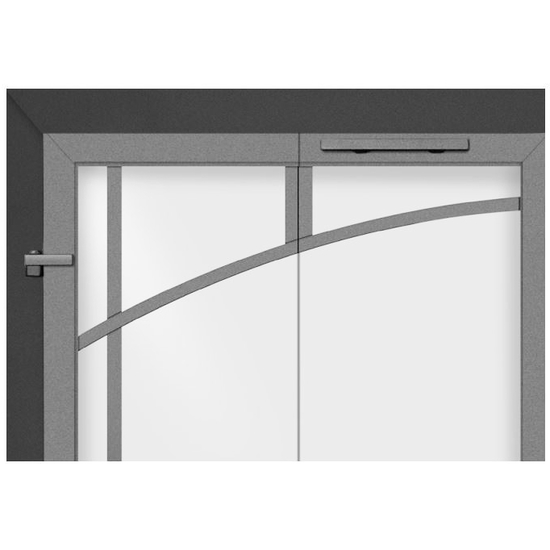 Premium handles make opening and closing of the cabinet center bar doors effortless. 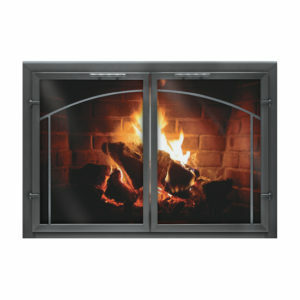 A beautiful mission style window pane design accents this replacement fireplace door further and blends in with any decor style. 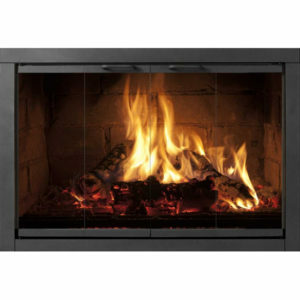 Hardware is included for an easy installation.